So, you want to find out about Dave Briggs? Here we go! All about Dave Briggs, travel adventures, and the Dave's Travel Pages travel blog. Hi, my name is Dave Briggs, and thank you for visiting my travel blog. I've always had a wanderlust, and way back in 1997 I started out on my first around the world trip which lasted just over a year. This gave me a taste for travel, and from this moment on, I knew that travel would be the focus of my life. 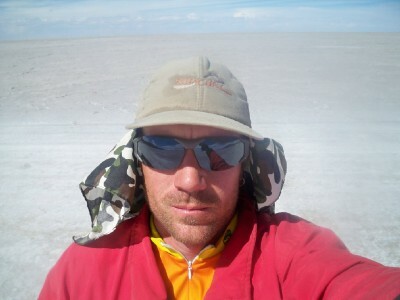 Since then, I have cycled over 30,000 miles around the world, sailed boats across the oceans, and camped out under cloudless, star filled skies. And I won't be stopping any time soon! The internet was in its infancy back when I started travelling. I remember picking up letters posted weeks in advance via the “poste restante” system. Does anyone else remember that? This travel blog did not exist back then of course. Dave's Travel Pages came online in 2005, making it one of the oldest travel blogs on the net. Since then, I have kept a travel blog of all my trips around the world, which I will talk of further down. I was born in Northampton, England. Northampton is pretty much in the middle of England in many respects. Never heard of Northampton? Hardly surprising really, although we do have a first rate rugby team! I have been fortunate enough to have travelled all over the world, in a variety of ways. The first trip from 1997-1998 lasted nearly 15 months, and involved buying a car in Australia to travel around there for 10 months, hiring a car in New Zealand for three months, and also included Bali, Fiji and Los Angeles. Whilst in New Zealand, I kept seeing these crazy people on bicycles, and the image stuck with me. After getting back to the UK, I had to save some money up, and my second trip was between 2000-2001. This was a great cycling tour around New Zealand, and really gave me a taste for travel by bicycle. The third trip (kind of), involved me moving to Sweden and working there for a while between 2002 and 2003. This was a great experience, and although things didn't work out as I might have liked at the time, everything happens for a reason. It was perhaps at this point more than any other that I realised that travel was the thing that I liked to do. The fourth trip (are you keeping count?!) happened in 2004, and involved travelling around India by train, as well as seeing other parts of Asia and Australia again. I don't know why, but seeing India by train had always appealed to me, and I was not disappointed! The fifth trip occurred in 2004 as well, just a few months after I got back from Australia. Using a contact, I went over to the Greek island of Keffalonia where I worked in a vineyard picking grapes and making wine. All great fun! The sixth trip happened just under a year later in 2005. This was a backpacking trip around central and South America, and covered some amazing countries, where I even included Easter Island. I have always had an interest in archaeology and ancient civilisations, and I managed to see most of the major sites. The seventh trip (I honestly didn't realise there were so many!) 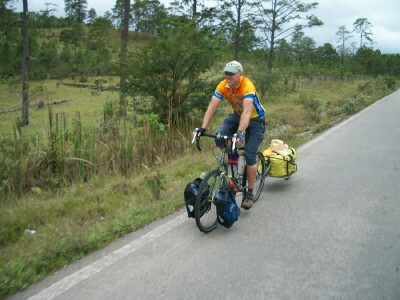 was to cycle from England to South Africa from 2006 to 2007. This was one of the most amazing things I have ever done, and finally made me realise that I only want to see the world from a bicycle. 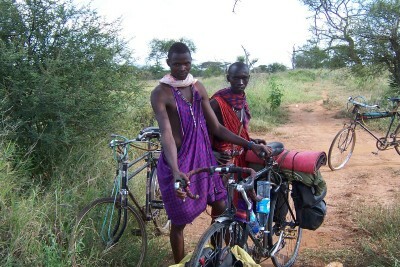 The eighth trip was again on a bicycle. 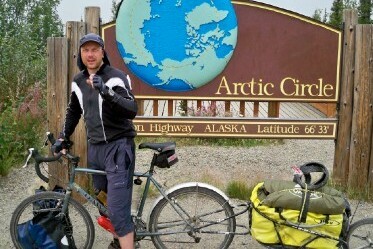 This was to cycle from Alaska to Argentina, and lasted from 2009 to 2011, and once again was filled with wonderful experiences. Such a shame that my journey could not continue indefinitely. The ninth trip (if it is a trip), documents my time living in Athens and Greece. I moved to Greece in February 2015, and since then I have written countless articles about the country. I also have a long running project to visit every museum in Athens. The tenth trip has been to cycle from Greece to England. This bicycle tour lasted for 3 months, and once more made me realise just how much I love travelling by bicycle. How do you afford all this? There is no magic secret. I am not a millionaire or trust fund kid. I just work as hard as I can, and save as much as I can. Most of the time, this was at a minimum wage level as well. It comes down to determination and discipline. If you want something badly enough, you will find a way to make it happen. Recently, I have managed to put myself into the position where my freelance writing and other online activities have enabled me to work for myself. You could say that I have embraced the laptop lifestyle! Things are going really well in Athens and Greece. It is a fascinating country to explore and discover. I foresee myself being based here until at least April of 2018. After that, who knows? Will I cycle around the world again, buy a 4WD and drive through Africa, or base myself in another country for six months to explore and discover somewhere new? When I know, you will know! We are 50 and celebrating our anniversary next year in Greece. We are open to May and June- Which do you think is easier to get hotels and visit with less crowding? What is a good travel sequence? We are planning on 2 weeks. Either month would be good, but June will have warmer weather. The order sounds fine, but let me suggest that 2 nights in Crete is not enough. Therefore perhaps consider skipping it, and spend extra time on Naxos instead (relax on the beaches, enjoy some good food). When you come back for your next anniversary, aim to spend a couple of weeks on Crete! I hope you enjoy your anniversary here!